Muharrem Abdullahu earned his degree in Marketing and Sales from Economic Faculty. His working experience is diverse but largely linked to agribusiness. 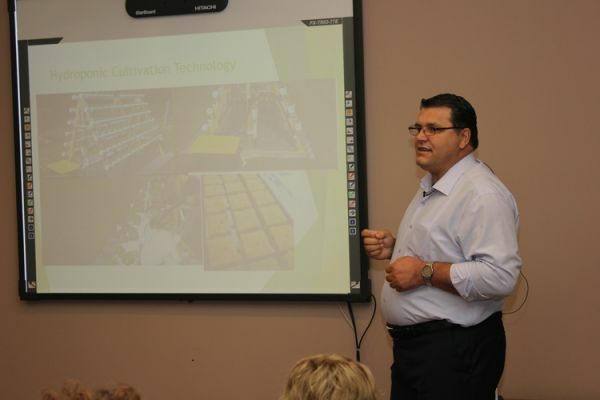 Currently, he works to develop a business with different organic fruits and vegetables using hydroponic system. 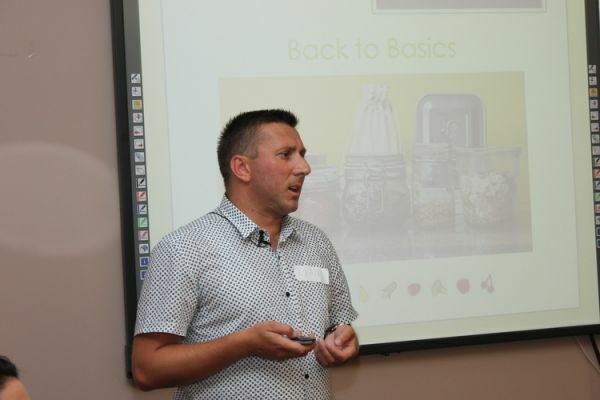 Zoran Bojovic is president of the NGO Association Gorica which is a genuine local civic environmental association gathering hundreds of volunteers inspired by Zoran’s enthusiastic leadership. Among other activities, the Association Gorica has so far conducted the following: many educational visits for schoolchildren, organized a 5000 signatures petition, numerous press conferences, over 100 actions of cleaning, greening, and introducing safety measures in the park-wood Gorica with over 1500 participating, as well as advocacy action for establishing a legal framework on environmental protection in Gorica Park. 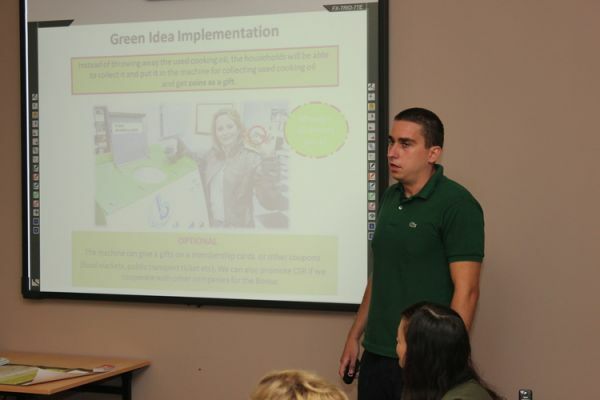 In 2014, Zoran was awarded Green Star Award by Agency for Environmental Protection and OESC recognizing his public engagement efforts. 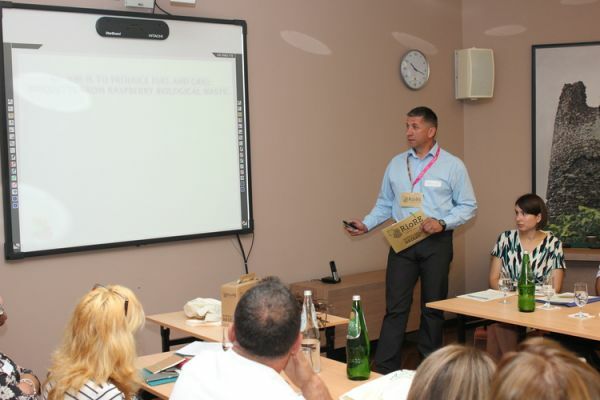 History and geography professor by education, Zoran has strong background in media. 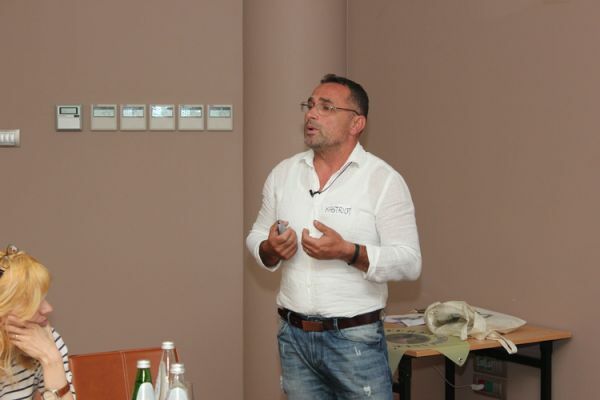 He is founder of the local movement “Zabjelo Republica”, editor of “Omladinski Grafiti” magazine, and author of popular radio shows hosted on Free Montenegro, Radio Antena M, Vijesti, Skadar. More, Zoran is also columnist and founder of the short movie festival “AVI Fest”. Dragojle Bozic has been teaching physical education for nearly 20 years at the elementary school in Luznicka valley, near Uzice city in Serbia. In 2010 and 2011, he organized eco-camps in the village of Ribasevina as well as cycling tournaments and “School Olympic Games” for students from the region. Dragojle is also a producer of organic raspberries. For the last two years, Dragojle has been cultivating raspberries in accordance with the principles of sustainable agriculture. 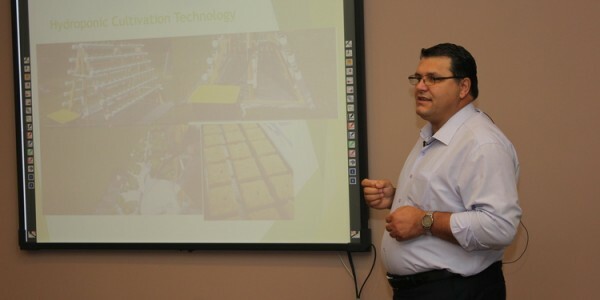 Additionally, he has been developing briquettes for barbecue out of biological waste generated from growing raspberries. He is devoted to development of Ribasevina village and protection of its rich biodiversity and wishes to have the village and its school become a center for environmental education in the region. Dragojle is also associate of the Serbian Owl Conservation Center. He is married and has two children. 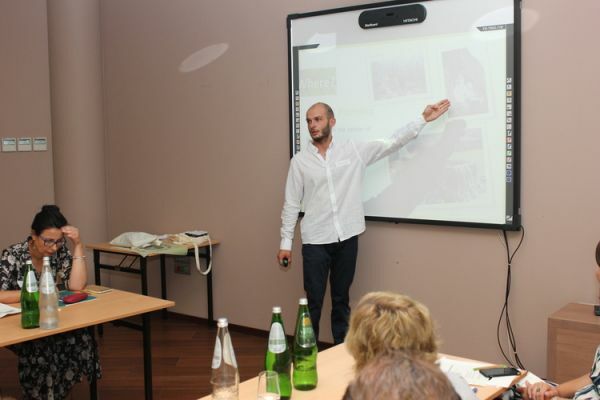 Miljko Bulajic is the founder of the Nature Lovers Montenegro Association. He is licensed rafting and kayaking guide, lifeguard in wild waters, and philosophy student. 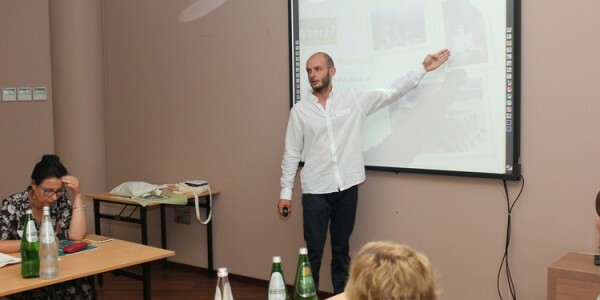 Miljko has ten years of experience in various outdoor activities worldwide. Nature Lovers Montenegro was created with aim to get people closer to nature and its beauty, both in Montenegro and beyond. Over the past months, Miljko’s team has gathered international guides and nature enthusiasts to visit some of the most beautiful parts of Montenegro (mountains, islands, lakes etc.). He also has participated in the campaign against damming of rivers in the Balkans called Balkan Rivers Tour. Nature Lovers Montenegro is part of the global environmental movement “Let's do it”. Going forward, MIljko plans to join various actions with focus on natural and renewable resources. He works to enable people to experience nature in its most perfect form - through adventurous, relaxing, and educative outdoor activities. Andrijana Dabovic was born in 1981 in Nudo, Grahovo region, Niksic municipality in Montenegro. She finished the High School for Tourism and Hospitality in Trebinje, Bosnia and Herzegovina (BIH). Andrijana graduated in economic diplomacy from the Faculty of Economics in Banjaluka (BIH). She has been an ICT coordinator in the Primary School „Dragan Kovacevic“ in Nudo since 2010. Andrijana has several hobbies: growing flowers, cultivation of ornamental plants, gardening, and reading. 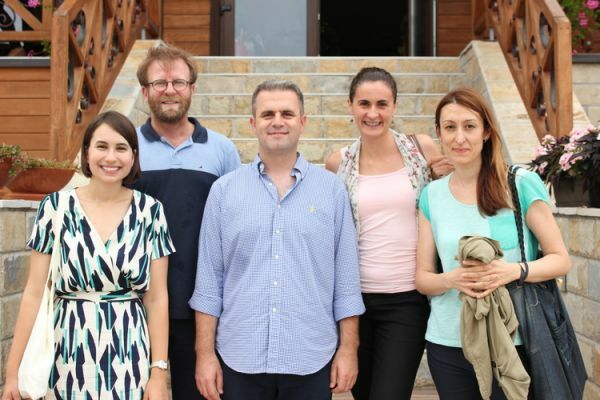 Kastriot Faci is the manager at The Door, civil society organization situated in Shkoder, northern Albania. Since 1999, he has been involved in various projects experimenting with new approaches to social inclusion for vulnerable groups such as children, youth, and disable people. Some of the initiatives Kastriot has ran include: The Musical Troupe for Disable People, Female Football Team, and Dance Troupe for Roma and Egyptian Girls. 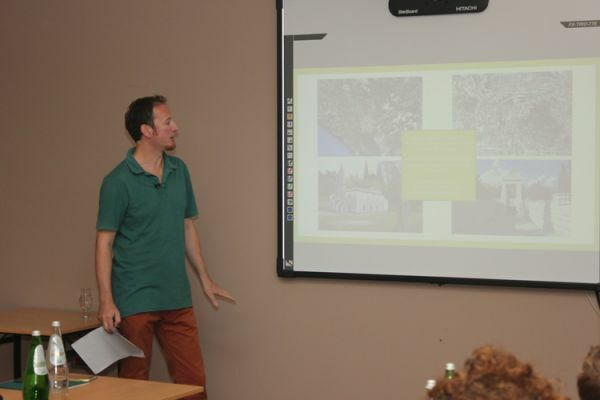 The most recent idea of The Door which tackles social inclusion is the project Kastriot is presenting at the regional competition, The Agro-tourism Eco- Social Farm. Rozeta Gradeci is COSPE country representative in Albania. She has worked with this international NGO since 1999 and has been involved in different types of interventions in the field of environment, democracy, social services, tourism, public services, local community participation, rural tourism, cultural and natural heritage et al. 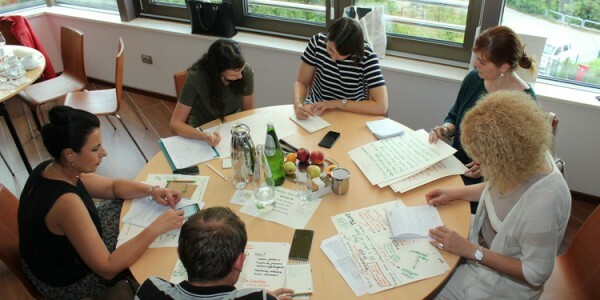 Building on her love and enthusiasm for the work and in collaboration with other colleagues, Rozeta created the best model for public services based on the inter-communal collaboration in the rural areas. Blerta Guxha graduated in 2014 from the faculty of General Medicine. She has a record of volunteering with civil society organizations since she her high school age. Currently, Blerta works as doctor at “Kuban” hospital in Tirana and is the Executive Director of Albanian Society in Development, an NGO founded in 2000. The company she is representing at the competition is ran by her father whom she will represent. Luan Hasanaj is the co-founder of Hambar Shpk. Hambar started as an idea back in October 2015. The shop opened in May 2016 and has been a great hit in Pristina community through online campaigning and appearances in various TV shows. 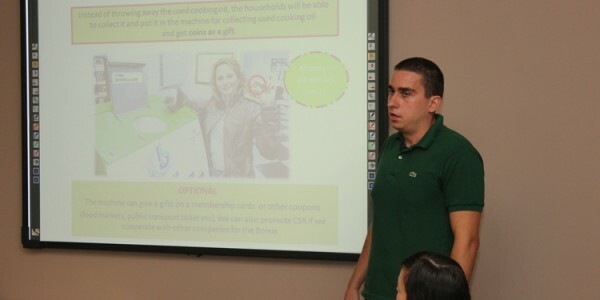 Additionally, Luan served as Lead Coordinator for “Let's do it” Kosovo which is a part of “Let's do it” world movement. 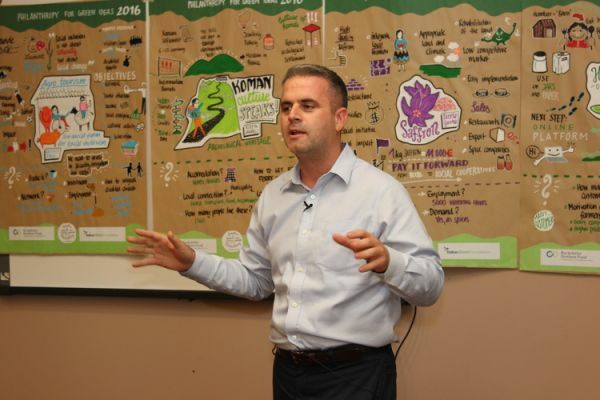 Under his leadership, this organization managed to mobilize thousands of volunteers throughout Kosovo to successfully clean up hundreds of illegal dumpsites in the five year period. Hambar Online builds up on this legacy aiming to establish certain environmental standards among Kosovo's business community. 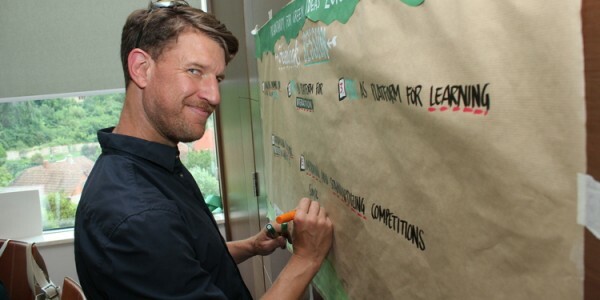 The idea is to set an example of the sustainable business operating in the sustainable environment. Slavica Ilic has been engaged for the past three years in the raw vegan food production under her “Root, Leaf, and Fruit” ("Koren, list i plod") brand. 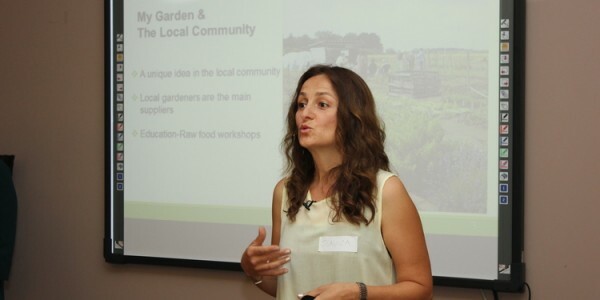 She grows vegetables on a plot of land within the City Garden, one hectare of land which City of Sabac donated to citizens for growing healthy vegetables and herbs. 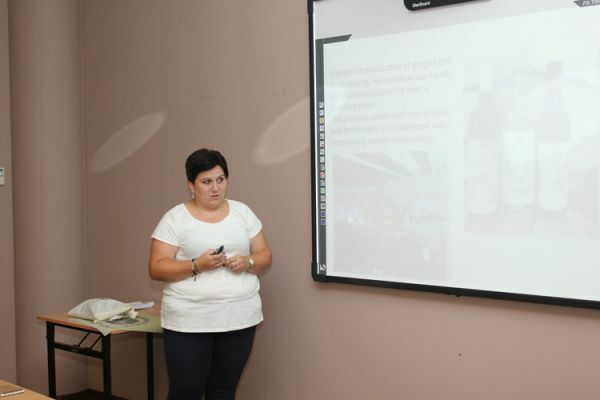 Thanks to Slavica’s initiative, citizens of Sabac have an opportunity to know more about tasty and healthy products that she has been preparing. Also, they can grasp the whole concept of healthy raw food. For many years already, Slavica has worked as manager and sales person at a local trade firm. However, she feels the moment has come for her to start running her own business which will merge her love for a healthy way of living with the growing needs and demands of her fellow citizens for the healthy food supply. In her free time, Slavica enjoys hiking and gardening. Ana Kolovic is a licensed landscape architect. Her areas of expertise include landscape and urban planning, planning and design of urban open space and environmental, and nature protection. 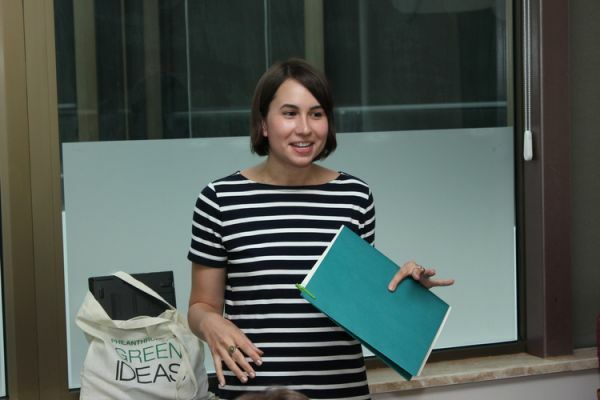 She is dedicated to local green ideas and eco solutions in urban spaces and thinks that small steps can make huge change. 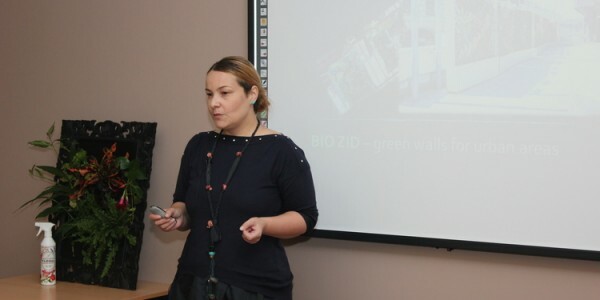 Following this vision, Ana and her three friends and colleagues, landscape architects, formed the team which designed and constructed the unique, eco-friendly, and educative product - a vertical green system, BIO – wall. BIO - wall can directly impact the amount of green spaces in urban areas. Ana wishes to grow this business which involves promotion, production, installation, and maintenance of modular, vertical system BIO – wall. More, she aims to employ women from the local community who lost their jobs along with professional women of similar expertise. Additionally, Ana works at PUC Greenery - Belgrade, where she has implemented numerous public and private projects throughout the city Belgrade. Argjire Krasniqi is the founder of the NGO ECOciety. 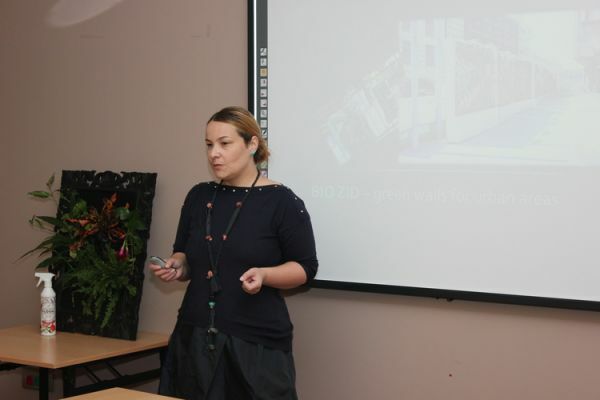 She is the organizer of the sustainability and green architecture festival in Pristina called ECOWEEK, which is happening for the third time this year. The festival lasts for one week but gathers over 3,500 direct audience and participants. 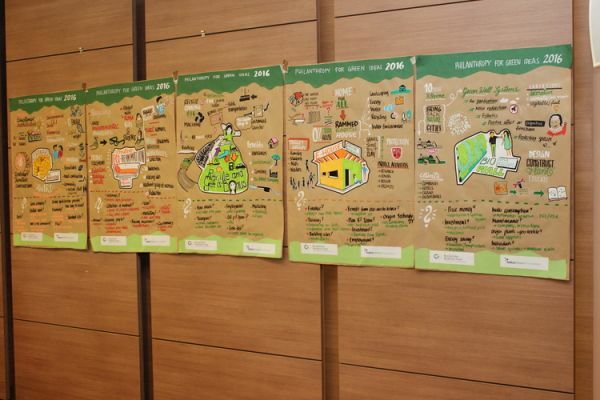 Through ECOciety, Argjire aims to change the practices towards sustainable architecture in Kosovo and abroad. 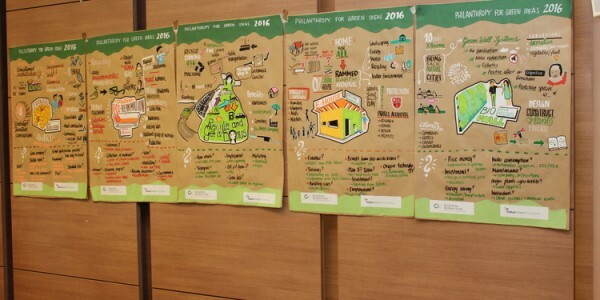 To do so, ECOciety directly implements and realizes sustainable architecture projects. One of the examples of such approach is building the first Eco house in the country. Argjira is a freelance architect, who graduated from the University of Prishtina’ Department of Architecture. Additionally, she accomplished master studies at Vienna University of Technology. Argjire has worked in several NGOs as well architectural and design studios in Kosovo, Switzerland, and US. Marta Mojsova is an interior and furniture designer. She has been employed in her family architectural studio for eight years. Her biggest interests are in the field of reuse design. Marta finished her studies at the Faculty of Forestry in Macedonia with a specialty in Design and Technology of Furniture and Interior. After completing her master studies at the American College’s Faculty of Architecture, Marta went to Barcelona to continue her education. She holds MA in Interior Design of Commercial Spaces from IED- Barcelona. She is a co-founder of the non-profit organization „Cultural Connection“. 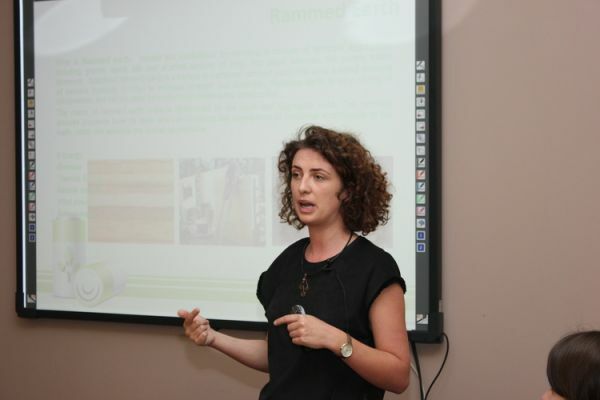 In addition to organizing various workshops in the field of reuse design, Marta’s work include organizing charitable selling exhibitions (funds are further invested in Roma children), designing reusable packaging solutions for Tikvesh vinery (Skopje Design Week 2013), designing scenography out of waste materials (Skopje Creative Hub 2014), and running a project for Reuse Design (Creative Industries, 2015). Stefan Perchinkov is 23 years old coming from Skopje, Macedonia. He graduated economy from the Economic Faculty of the Ss. Cyril and Methodius University. Stefan is currently enrolled in master studies on E-Business at the Management Department of the same faculty. He is member of the Rotaract Club Skopje for five years and will take on its two year presidency from September 2016. 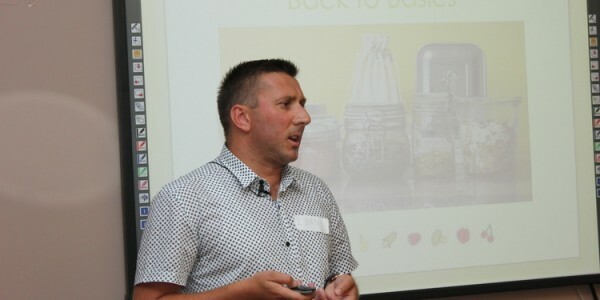 Among many activities Stefan has ran at the club, awareness raising and fundraising events for marginalized groups of people are the most frequent. 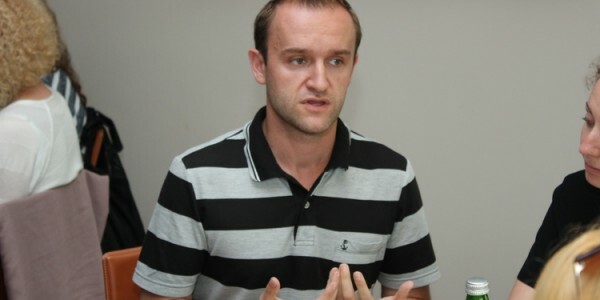 During his studies, Stefan worked on selling investment policies with Ilirika Investment Fund and as online facilitator for foreign and domestic companies wishing to buy or sell certain products online. Ana Rafailovska was born in 1983 in Skopje, Macedonia. In 2014, she earned MSc in Sustainable Architecture from Politcenico di Milano, Italy. Ana graduated architecture in 2010 from the Ss. Cyril and Methodius University. Since 2007, she has been advancing her expertise as an architect by working in different construction companies and architectural studios. 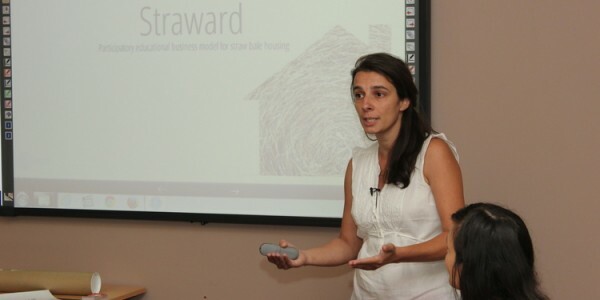 In 2012 and 2015, she was part of the seminars on straw bale building held by Sissy Hein from FASBA, German National Association of Building with Straw Bales. Over the last two years, Ana has specialized in straw bale structures and passive solar design. She has been networking intensively with individuals and organizations interested in these matters both in Macedonia and abroad. Ana has special interest for sustainable housing systems in rural and urban areas. 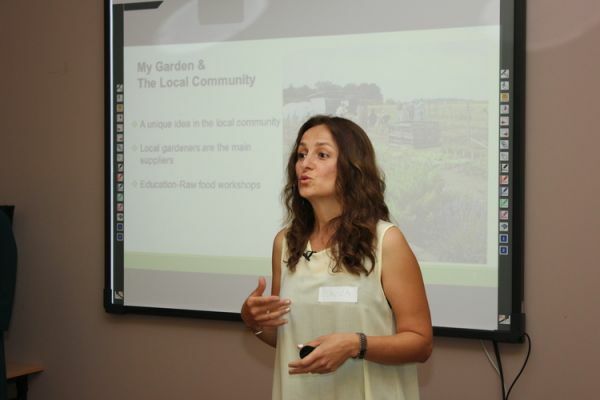 Along these lines, she has studied deeply the permaculture theory, design, and practice and its application in architecture. Anica Maja Boljevic has been executive director of the Fund for Active Citizenship (fAKT) since its foundation in 2008. She served as the Head of Catholic Relief Services (CRS) program in Montenegro from November 2002 to October 2005, after she had managed CRS youth advocacy and leadership program for two years. Before joining CRS, Maja was a high school teacher of English for eight years. Her professional background and experience have been strongly linked to education and civil society programs, with an emphasis on supporting and fostering civic participation to encourage proactive problem solving and responsive governance. She is a member of the national Council for NGO Development and serves on several boards of Montenegrin non-profit organizations. 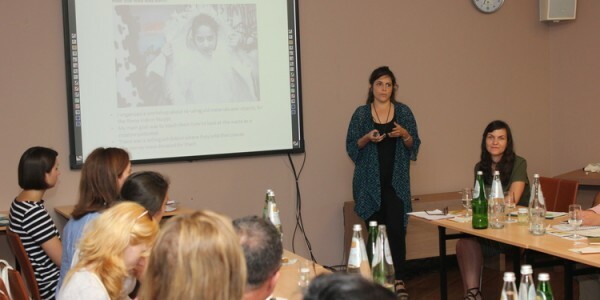 Biljana Dakic Djordjevic leads Trag Foundation, an indigenous non-profit foundation supporting local communities and grassroots activism in Serbia. Trag Foundation encourages citizen engagement and promotes local philanthropy in support of building an equitable and open Serbian society. Biljana has 17 years of professional experience in the non-profit sector, with extensive knowledge of fundraising and partnership development, strategic planning, program management, and cross-sector cooperation. She managed a regional grant-making program with the Balkan Trust for Democracy (BTD), a project of the German Marshall Fund of the United States, (2012-2014). Prior to BTD, she supported capacity building of political and public leaders in Serbia and the Balkans as the development director of the Belgrade Fund for Political Excellence. She has also co-designed and organized trainings for women politicians in the Parliament and local government. 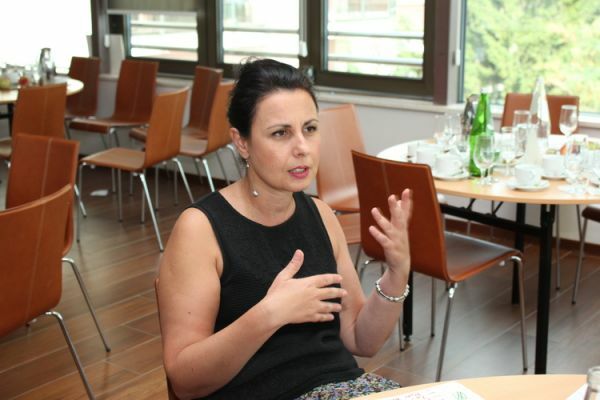 Biljana is a board member of the UN Global Compact in Serbia. 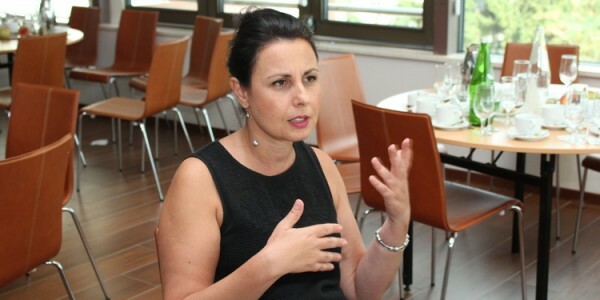 Juliana Hoxha founded Partners Albania for Change and Development in 2001 and serves as Executive Director since then. She has more than 20 years of professional experience in institutional and capacity building, NGO sub-granting program design and management, and NGO legal framework development in transitional democracies. With a strong academic background and research experience, she has led research based advocacy efforts on development of legal incentives and practice of social entrepreneurship and philanthropy in Albania. Juliana is member of several inter-sectorial working groups in the country and experts groups at Balkan and European level. Ms. Hoxha holds a BA and MA in History from Tirana University, and MSc in Business Management and ICT from Sheffield University. She is a Chevening and Harvard Kennedy School Fellow and speaks fluently English and Italian. Vjosa Ismaili is project assistant at the Organization for Social innovation ARNO. She earned her BA in International Communications from the Faculty of Languages, Cultures, and Communications at the South East European University. She has been active in the non-governmental sector since the age of 14, when she was a participant in the national program of the Macedonian Red Cross, known as Promotion of Human Values. 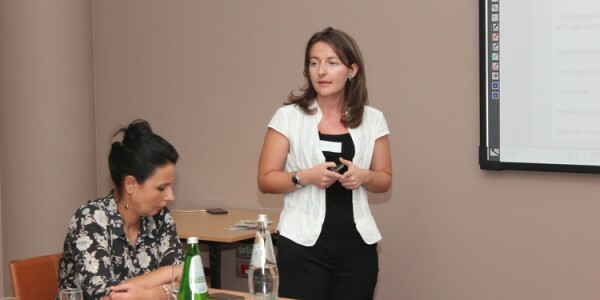 Nowadays, she serves as an instructor for the program and is the vice president of the Macedonian Red Cross’ Youth. Also, she is the Focal Point in Charge of the Y-PEER national network. Vjosa’s work is focused on ensuring youth participation in the decision-making processes and promoting culture of dialogue as a core precondition for intercultural society. 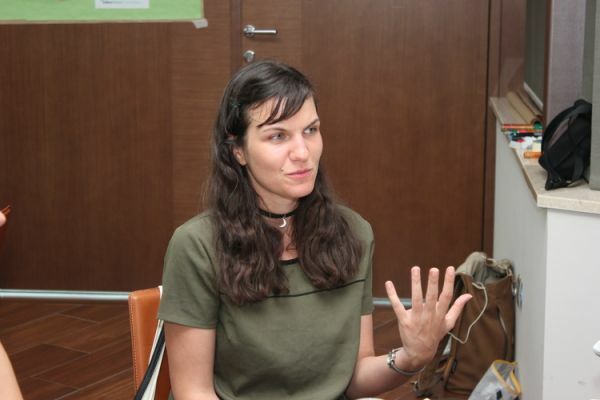 Irina Janevska is founder and president of the Organization for Social innovation ARNO. Also, she is Y-PEER Macedonia Focal Point, and Curator at the World Economic Forum (Global Shapers Skopje Hub) devoted to working on initiatives that ensure social impact and community outreach. 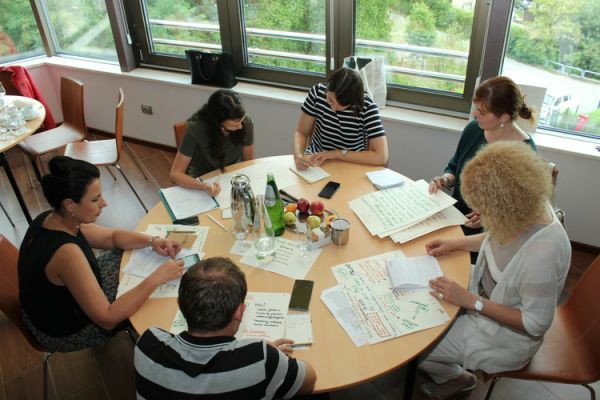 At ARNO, Irina’s primary focus are initiatives that promote sustainable development, social entrepreneurship, and advocacy for post-2015 processes in the country. Under her leadership, ARNO’s team was earned 2nd place at the Social Impact Award and grew into an entity that is recognized as social change agent. Previously, Irina held management positions at projects supported by UNFPA, UNDP, MTV Staying Alive, Embassy of Switzerland in Skopje/Swiss Cooperation Office, The British Embassy in Skopje etc. Irina holds BA in Communications Sciences and is enrolled in MA in Cultural Studies. 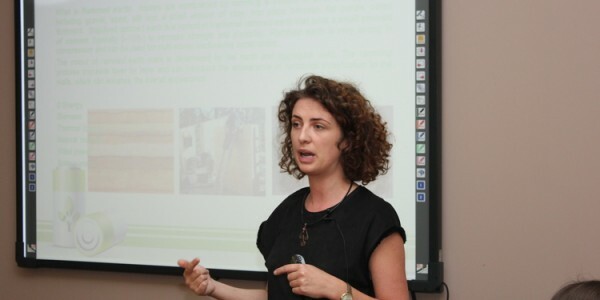 Kostandina Keruti is project manager at Partners Albania for Change and Development. She is responsible for key aspects of projects implementation and management primarily focused on philanthropy development and promotion, CSR, social enterprises and social innovation. Kostandina has extensive experience in education and not-for-profit sector, including working as specialist at Institute for Curricula and Training and professor at University of Tirana, project coordinator and researcher for Program Alternative for Social Stimulation (PASS) organization, Albanian Council on Foreign Relations (ACFR), and serving as UNICEF national trainer on environmental education. 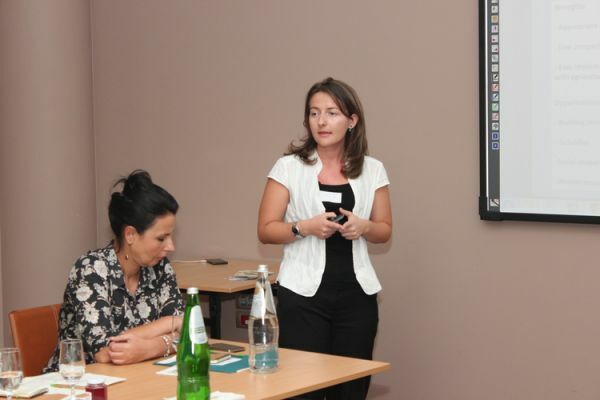 Ivana Markovic is the grant program manager at Trag Foundation. She has been with Trag since 2005 and currently leads grant program team. Ivana is responsible for development and management of all grant programs in Trag, including management of decision making process. Her expertise in grant making includes management of various grant programs such as grass root grants for community based organizations and informal groups, advocacy grants for mid capacity organizations. and grants for CSOs social service providers. 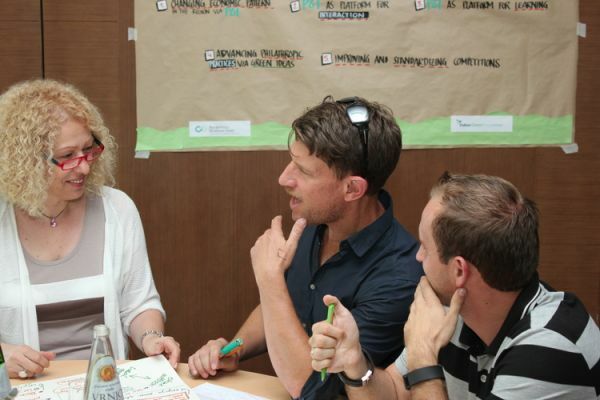 Ivana has graduated from Landscape Architecture and has 15 years of experience in civil society in Serbia. She is certified by Project for Public Spaces (USA) as Place-making consultant for Serbia. Merita Mustafa has recently started to work as program developer and fundraising manager at the Forum for Civic Initiatives (FIQ). 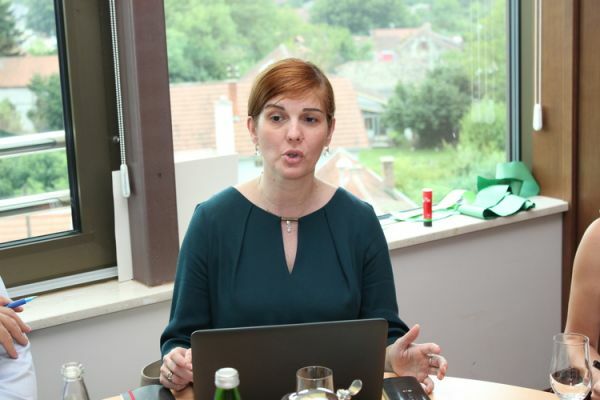 She has eight years of working experience in writing, managing, and fundraising for diverse projects in Kosovo’s NGO sector and local government (Pristina Municipality). The projects that she was enrolled with were tackling energy efficiency, youth employment, and advocacy towards increased transparency in public spending and greater engagement of the citizens in decision making processes. Merita is also a founder of the initiative which helps women and children to realize their rights on property and alimony. Along with 24 other women, she has worked voluntarily to assist these marginalized groups. Merita graduated in management and is currently doing her master studies in Business Administration at Staffordshire University. 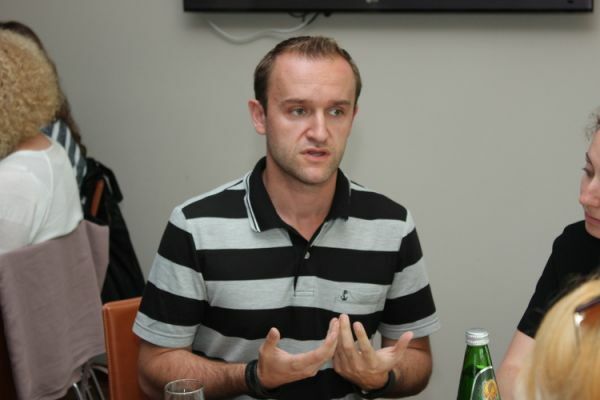 Kushtrim Puka is programs manager at the Forum for Civic Initiatives (FIQ), a leading civil society organization in Kosovo. 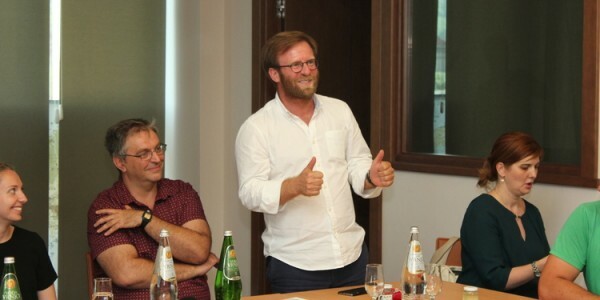 He has significant experience in both private and public sector working with some of the most successful companies and organizations in Kosovo such as ELKOS Group, GAP Institute for Advanced Studies, and IPKO Telecommunications LLC. Additionally, Kushtrim is also entrepreneur, an avid mentor and investor in a number of startups. He holds a bachelor’s degree from Rochester Institute of Technology, with major in Entrepreneurship and minor in Public Policy. Additionally, he earned Certificate from Harvard Kennedy School of Government on Strategic Management & Leadership. 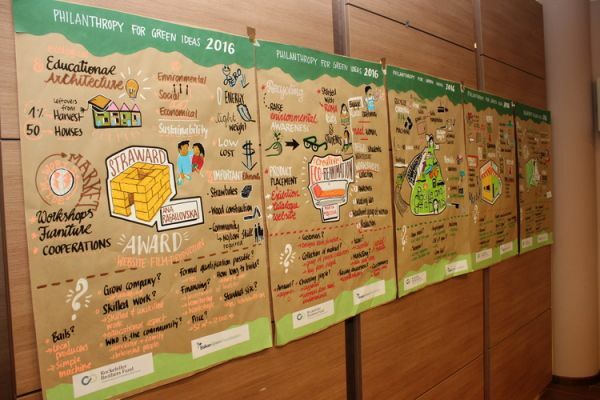 Building on the successes of the previous forums and aspiring to complement the initiative with other sustainable development endeavors in the region, Philanthropy for Green Ideas 2016 is co-organized by the Balkan Green Foundation and the Rockefeller Brothers Fund. Haki Abazi is the program director of the Western Balkans portion of the Rockefeller Brothers Fund’s Pivotal Place program. Prior to joining the RBF in 2007, Mr. Abazi served as the director of the Kosovo office of the East West Management Institute, where he developed and implemented a wide range of programs addressing critical issues in Kosovo during the transition period. Mr. Abazi spent more than nine years designing and managing development programs that supported overall developments and increased citizen participation in decision-making processes in a number of countries, including Kosovo, Serbia, Montenegro, Afghanistan, and Indonesia. 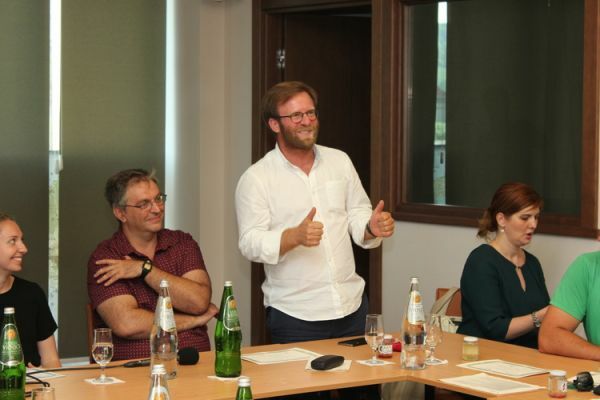 He has in-depth knowledge of and experience with the civil society community and the geopolitics of the Balkans region. 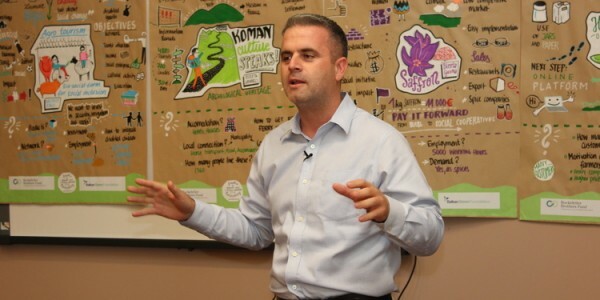 Mr. Abazi holds a degree in computer sciences and management, and was educated in Kosovo and the United States. He is fluent in English, Albanian, and Serbian, and also knows basic Dari. 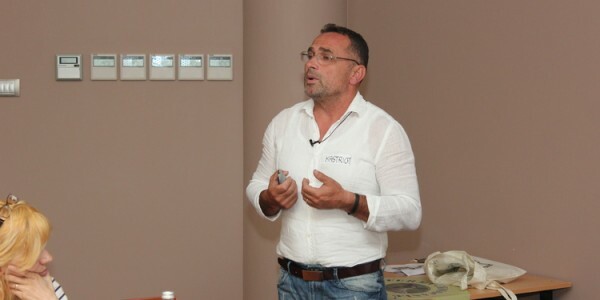 Visar Azemi is the executive director at the Balkan Green Foundation and coordinator of the Kosovo Civil Society Consortium for Sustainable Development. 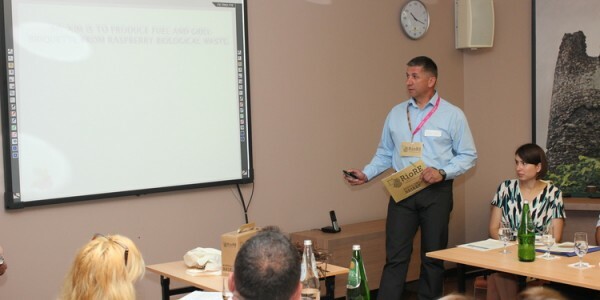 Previously, Mr. Azemi served as the representative and lecturer for the University of Maryland University College (UMUC) in Camp Bondsteel, Kosovo. He has over ten years of professional experience in non-profit sector, with extensive knowledge in partnership development, strategic planning, program management, and marketing. His prior work also includes management work with the Central Texas College, International Organization for Migration, and KBR. Mr. Azemi holds a graduate degree in electrical engineering from the University of Pristina, a second Bachelor’s degree in Management Studies, and a Master’s degree in International Financial Management from University of Maryland University College. 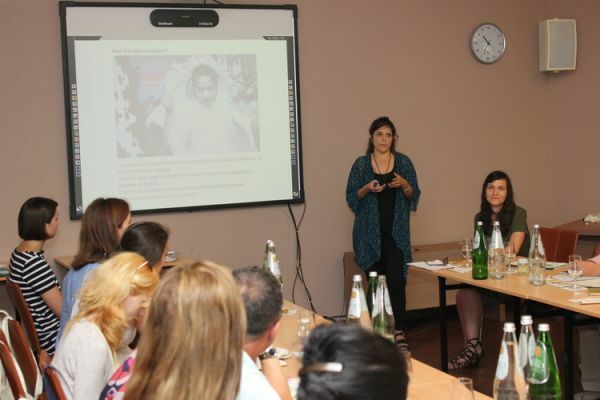 Rinora Gojani is the program manager at the Balkan Green Foundation. Rinora specialized in European Union politics and policy and has a special interest in the energy sector, sustainable development, and activism in the Western Balkans. Previously, Rinora worked as Senior Research/Policy Analyst for sustainable development issues at the Institute for Development Policy, where she also liaised with global environmental and sustainable development policy organizations. Additionally, she worked at the Ministry of European Integration where she cooperated intensively with the Ministry of Energy and Mining on providing inputs to the European Commission Progress Report. Rinora has been active in various civil society organizations, such as Integra NGO, where she coordinated ‘Our Future European Integration’ project, an exchange program which brought together young people from Kosovo, Serbia, and the Netherlands and Youth Initiative for Human Rights, where she mobilized volunteers, organized street actions and monitored implementation of laws. Rinora has extensive experience in organizing campaigns and fundraising, with a focus on social, environmental, and development issues. 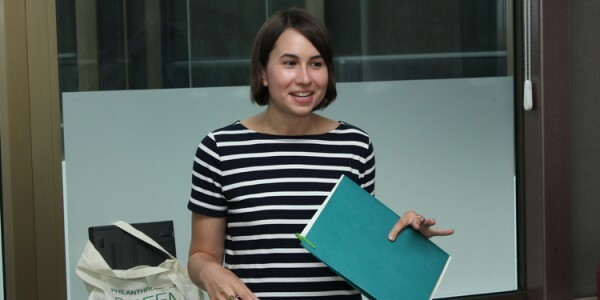 Dragana Ilic is the program manager for Philanthropy for Green Ideas, a project of the Balkan Green Foundation supported by the Western Balkan Program of the Rockefeller Brothers Fund (RBF). 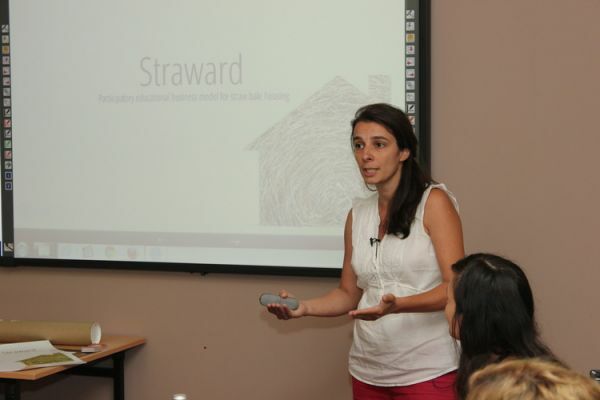 Until May 2016, Dragana served for almost seven years as program assistant within the same program at the RBF. 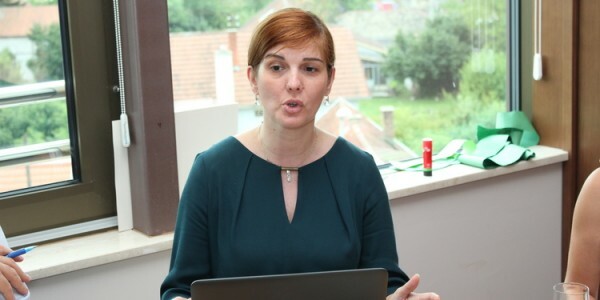 Prior to her engagements at the RBF, she was involved in many international projects as an independent research analyst, such as with Kosovo Foundation for Open Society’s Support for Decentralization in Kosovo and Forum 2015. 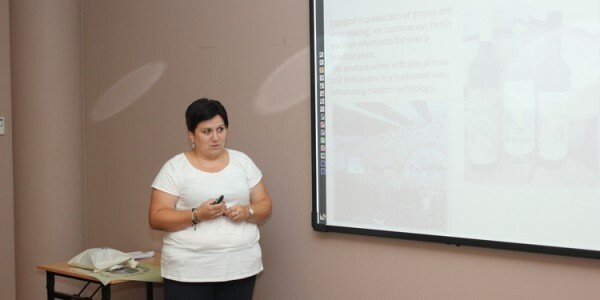 Previously, Dragana worked as human resources development specialist in Serbia’ Ministry of Ecology from 2005 to 2007 and as the assistant to Mayor of Štrpce/Shtërpcë in Kosovo from 2002 to 2004. She earned her M.A. in psychology at the University of Belgrade. Dragana obtained trainer-level skills in mediation as conflict resolution process from the Council of Europe’s School of Mediation in 2002. She is certified constructivist couch and psychotherapist under supervision. Dragana has heterogeneous experience in psychological counselling, including private practice and year-long volunteering at the Psychiatric Clinic “Laza Lazarevic” in Belgrade. Karen Karnicki is the program assistant for the Rockefeller Brothers Fund’s Peacebuilding and Western Balkans programs. Prior to joining the RBF, Ms. Karnicki was an intern at UN Women, where she conducted research on gender mainstreaming within the UN system. In 2014, she joined the inaugural team at Rhize, a start-up nonprofit that seeks to build the capacity of grassroots social movements around the world. As a fellow at Rhize, she helped grow the organization by fundraising, managing research projects, developing training materials, and assisting with program design and implementation. Ms. Karnicki also worked as an ESOL teacher in Prague, Czech Republic and as an assistant for the Islamic Civilization & Societies program at Boston College. She holds a Master of Arts in human rights studies with a concentration in gender and transitional justice from Columbia University, as well as a B.A. from Boston College, where she studied Slavic studies and Islamic civilization & societies. 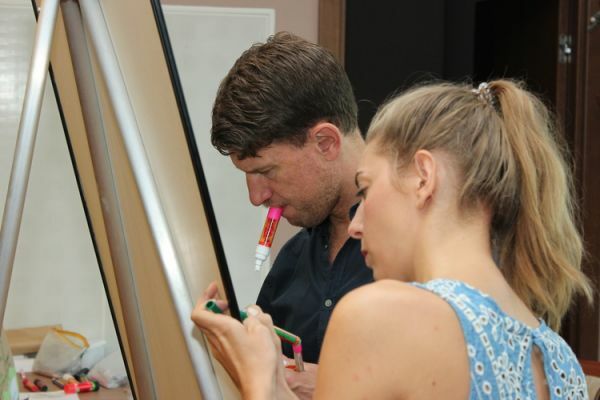 Benjamin Felis has been working as graphic and digital recorder since 2012 as well as a facilitator since 2006. Former graffiti artist, he graduated psychology and social education from the University of Applied Sciences in Düsseldorf. Jessica Kammerer has been an illustrator all her life. Her artistic career started with dancing and choreography, in which field she worked for ten years. Additionally, she studied psychology and philosophy. 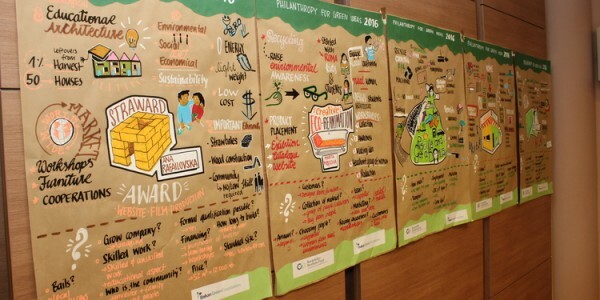 In 2015, Jessica started to collaborate with Benjamin Felis and since then she has been focused on graphic recording. Slaven Miljus is a cameraman, working with Center for Research, Transparency, and Accountability for several years. He also works with Mreza production group. 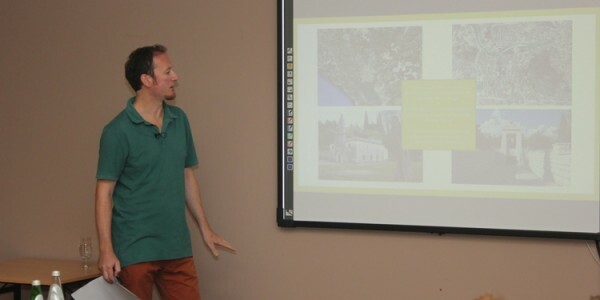 Over the course of his career, he has been covering a lot of various gatherings, meetings, and seminars. Vladimir Nesovic is director of photography, cameraman, and photographer for more than 15 years. He has worked for many commercial companies, marketing agencies, documentary films, TV shows, and NGOs. He graduated from Faculty of Dramatic Arts at the University of Belgrade. Vesna Radojevic has been with Center for Research, Transparency, and Accountability (CRTA) team since September 2013, when she joined CRTA’s “Istinomer” (“Truth-o-meter”) as a journalist. She is primarily in charge of Istinomer’s video form: features, interviews, debates. Apart from graduating from the Faculty of Political Sciences, she has also accomplished several schools of investigative journalism. Over the course of her studies, she has been enrolled in internships with different media outlets. As a student, Vesna won the “Borivoje Mirkovic” award for the best student TV piece in 2012. She is one of the award winners for investigative journalism in electronic media, awarded by the Independent Journalists Association of Serbia (NUNS) and the U.S. Embassy in Belgrade, on the occasion of the international Independent Media Day. Vesna also works as a journalist in TV production Mreza.